After asking the team what they love about music transport, we thought we’d ask them what they love about event transport. There were naturally some parallels between the two, but below we’ve listed the main reasons why event transport jobs are so very rewarding. At Stagefreight we support events from music to conferences! You never know which event transport job is coming in next. One day you’ll find yourself supporting a commercial vehicle conference. The next you’re getting a 16-foot cake sculpture to London’s Regent Park by dawn! (We’ve got a case study on that one). The versatility of event transport is truly fascinating. Our team has supported ballet and theatre shows, live events and music tours, conferences and exhibitions of all shapes, sizes and topics. 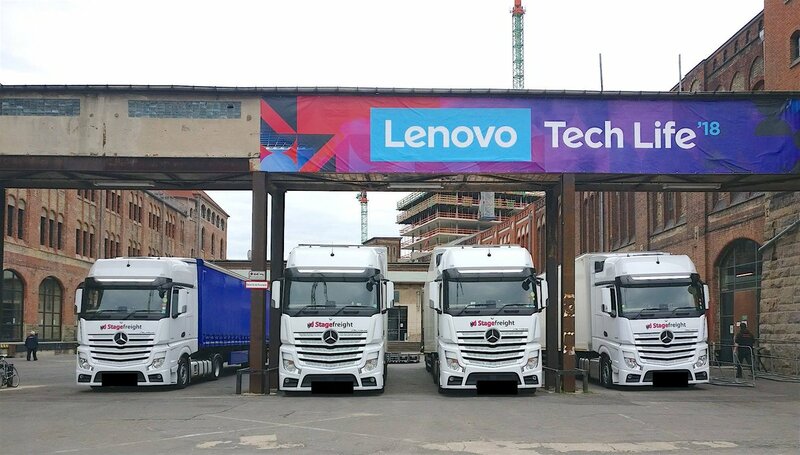 Here’s the team arriving at the Tech Life / IFA 2018 Berlin conference to support Lenovo. Our team loves getting out and about, which is handy considering we send them all over the UK and Europe. Not only is there a lot of versatility on event types but also on venues. We’re regulars at Birmingham’s NEC, a venue that exhibits over 500 events every year. 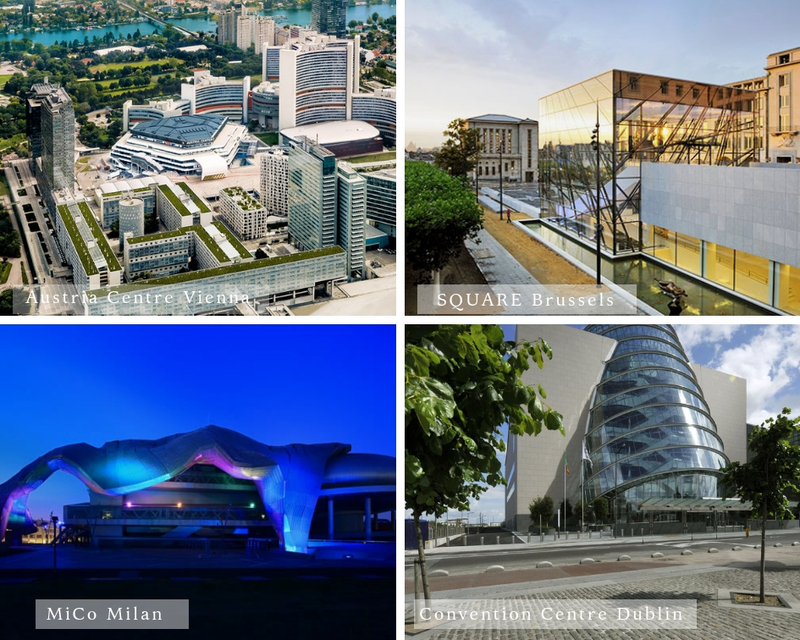 We’re also familiar with the Skenderija (Skender’s place) in Sarajevo that gets space for 70,000 m² worth of events and the 26 halls of the Berlin Meese. There are also some stunningly designed venues out there. 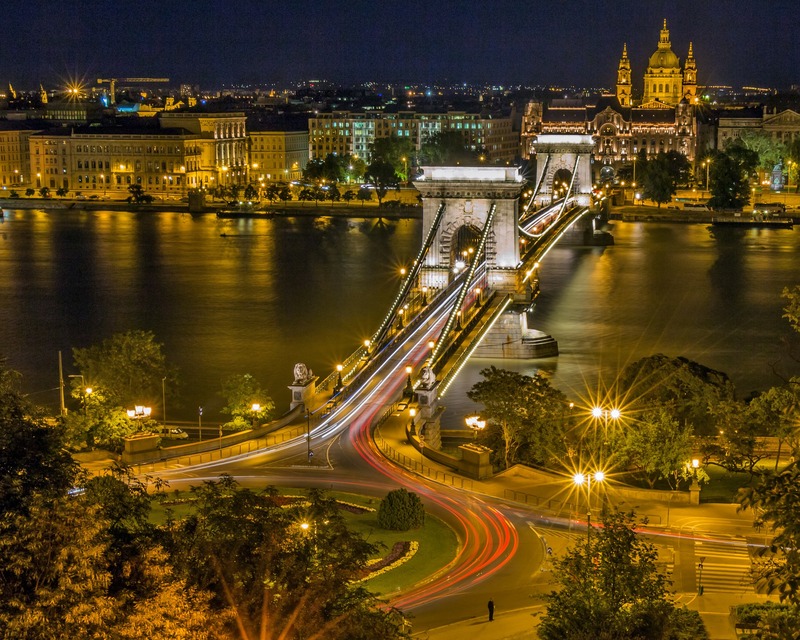 The Austria Centre Vienna is stunningly designed with 24 halls and 180 offices. The Convention Centre in Dublin, which has won 40 industry awards for providing an international stage for conferences and events. You can probably tell we’re quite a friendly bunch of people. Our friendliness shines through when we’re interacting with customers (and when with each other). Here we are supporting Production Light & Sound for their event at the NEC in Birmingham. 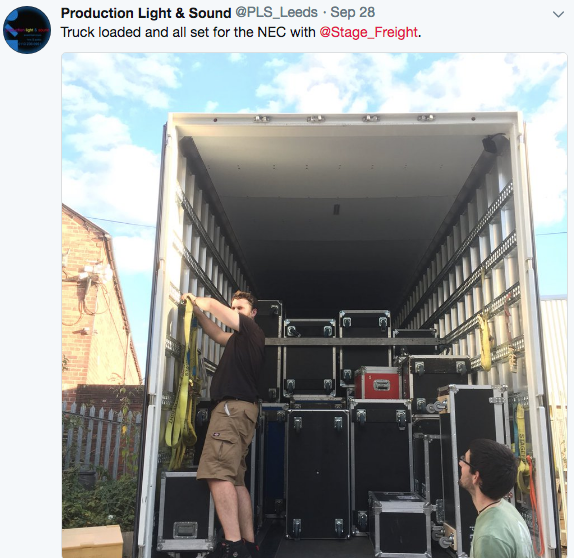 Production Light & Sound kindly passed on all the good work via social media. The Stagefreight team also help each other out on Facebook with tips on locations, best routes and venue requirements. Of course, there is naturally a bit of good-natured banter too. According to Dr. Jean-Paul Rodrigue from the Transport Geography group, urban transport is one of the key challenges both freight operators and cities are facing. Urbanisation is on the rise with public spaces growing alongside it. There are two exciting challenges that our team is well prepared for. The growth of city centres impact delivery timings. But our team are pros at planning timings (having never missed a cue) and they are more than ready to meet the urban challenge. One key tool for meeting the growing urban challenge is Stagefreight’s specially designed urban trailers. Did you know that our director Chris designed our urban trailers? Find out more about what makes the Stagefreight urban trailers so popular for venues in city centres. If you think event transport is for you, take a closer look at our latest vacancies on the Stagefreight jobs page. Or if you want the Stagefreight team to provide transport for your event give us a call on 0113 238 0805 today. You can also use our contact page for more options to get in touch with us.